I’ve written a lot about designing good (and bad) maps. Some articles to get you started are here, or visit the sub-sections for full listings. For latest news, forthcoming events, and a map of the month, click here to download the latest edition and subscribe by sending me an email (include a brief greeting so that I know you are human). All newsletters are archived here. 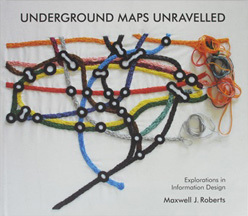 Underground Maps Unravelled The definitive exploration of schematic map design, you can download sample chapters. Information pollution on the Underground Map Everyone is so eager to please, but sometimes the extra information added to a map makes it harder to use. London Underground Map myths Don’t believe everything you read on the web, twelve common myths about Henry Beck and the London Underground map are discussed. Expectations and prejudices usurp judgements of schematic map effectiveness Compares the usability of two maps from a large-scale internet rating study. The map with the worse ratings had the better planning performance! What’s your theory of effective schematic map design? Discusses intuitive theories of design, along with prescriptions, theories, and frameworks for creating easy-to-use maps. 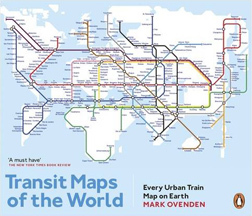 Transit Maps of the World, by Mark Ovenden. 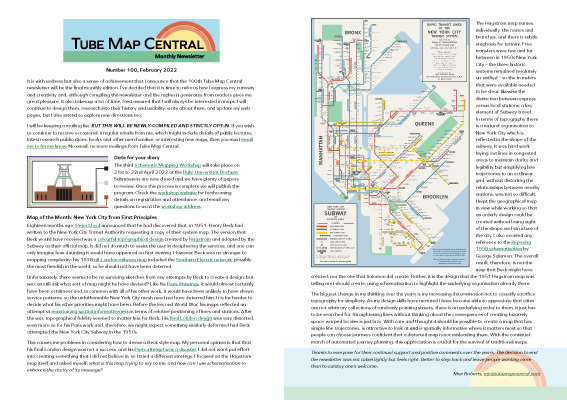 Every map from every rail transit network in the world, and historical maps for larger ones.